Some 30 automotive brands displayed more than 100 vehicles at the event organised by the Motor Traders Association of Singapore (MTA), in partnership with Mediacorp. More than 25 new vehicles were also launched at the event, which ends today. 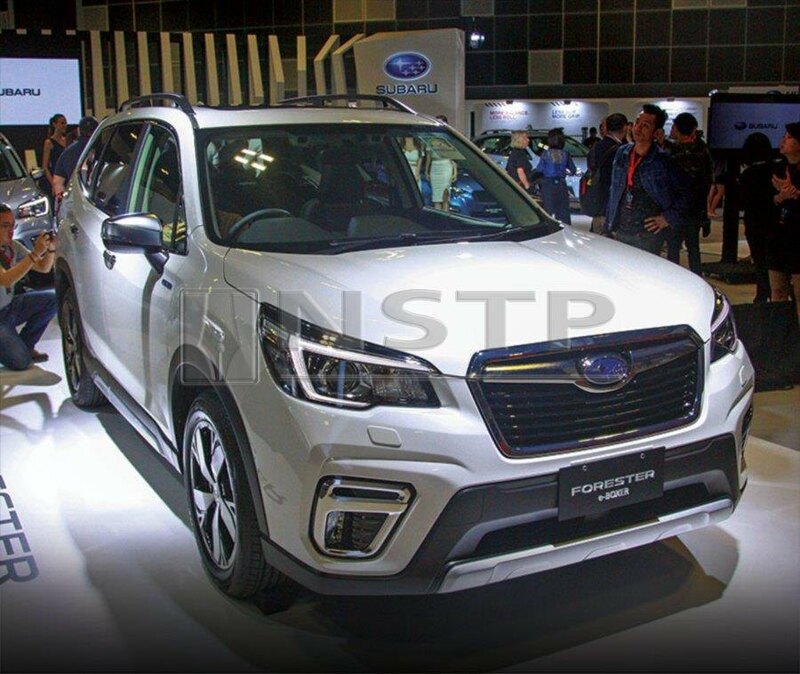 Subaru unveiled its new Forester E-boxer, a hybrid version of the new Forester that was launched globally in March last year. Powered by a 2.0-litre, direct-injected flat-four petrol engine, the “greener” Forester produces 143hp at 6,000rpm with 188Nm of torque at 4,000rpm. The traditional boxer engine has been married with a 13.5hp electric motor (with 65Nm of torque) built into the Lineartronic CVT. The electric motor is powered by a 4.8 Ah lithium-ion battery, allowing the engine and electric motor to power the E-Boxer at lower speeds to improve fuel efficiency. On the outside, only a few badges denote the hybrid nature of the powertrain. Inside, the E-Boxer is mostly the same, with the only major difference being the display for information related to the hybrid powertrain. 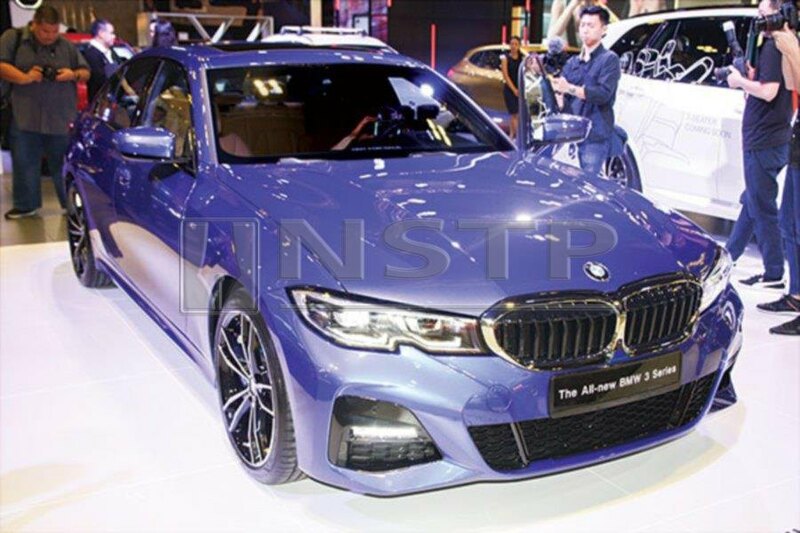 BMW previewed its new G20 3- Series at the event. The 3-series has been BMW’s best-selling model, with one in five cars sold by the manufacturer being from this model. More than 15 million units have been sold worldwide since 1975. Now in its seventh generation, the executive saloon is built on a new platform and was officially unveiled at the Paris Motor Show 2018. The new 3-Series is constructed using a combination of aluminium and high-strength steels, enabling BMW to shed 55kg from the previous generations’ weight. Despite shedding weight, the G20 has grown in size and is now longer, wider and taller than the previous generation F30, with a longer wheelbase . The new model is 4,709mm long, 1,827mm wide and 1,442mm tall, with a 2,851mm wheelbase. The 330i presented at the show is powered by a turbocharged 2.0-litre, four-cylinder engine producing 258hp and 400Nm of torque. The mill is mated to an eight-speed automatic transmission. 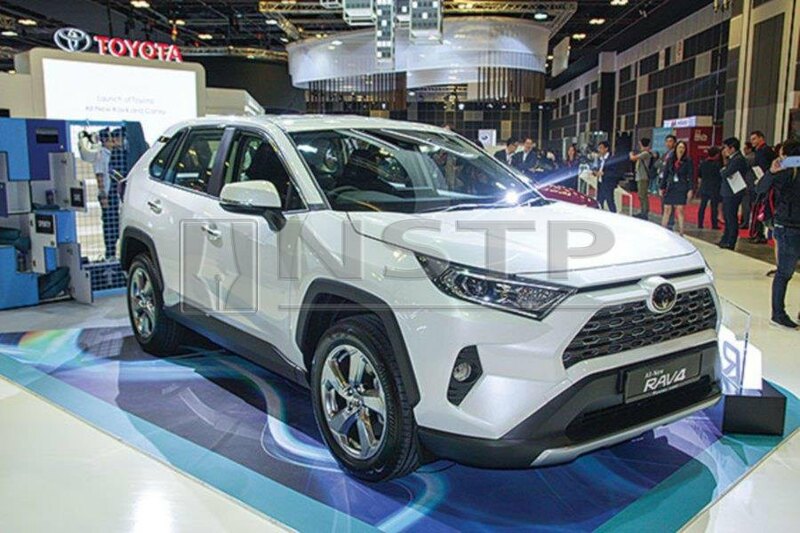 Toyota revealed the all-new RAV4 at the show ahead of its regional launch. The 2019 RAV4 features Toyota’s bold new design language with an aggressive front end and sharp lines. The car comes with Toyota Safety Sense safety suite, which includes lane departure warning, radar cruise control, auto high beam headlights, pre-collision warning and automatic emergency braking. Power comes from a 2.0-litre engine making 170PS and 203Nm of torque, mated to a continuously variable transmission. Inside is a floating touchscreen, cabin illumination, wireless smartphone charging, and seven airbags. 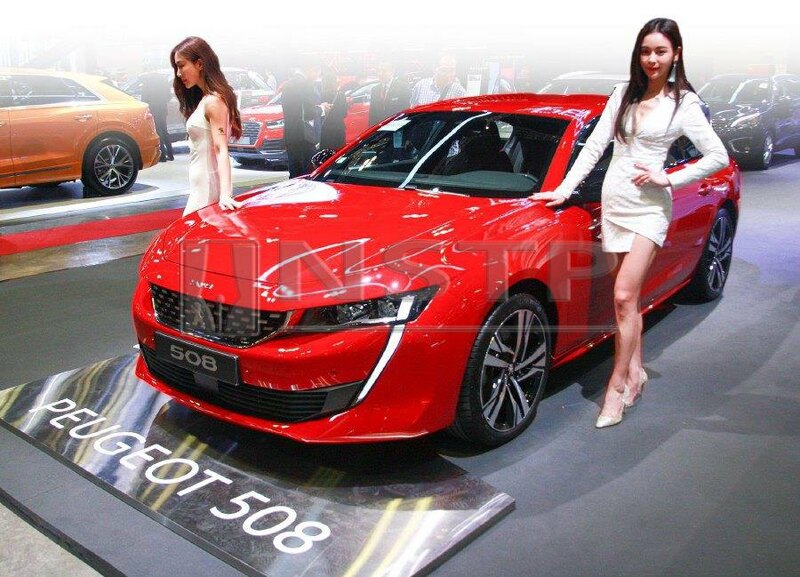 One of the prettiest cars at the Singapore Motorshow is the new Peugeot 508 Fastback. With frameless doors and a sports coupe silhouette, the Peugeot is a head turner. The elegance is reflected in the interior as well, with the Peugeot i-Cockpit, a full-grain leather-trimmed steering wheel, 10-inch capacitive touchscreen and a 12.3-inch head-up digital instrument panel. 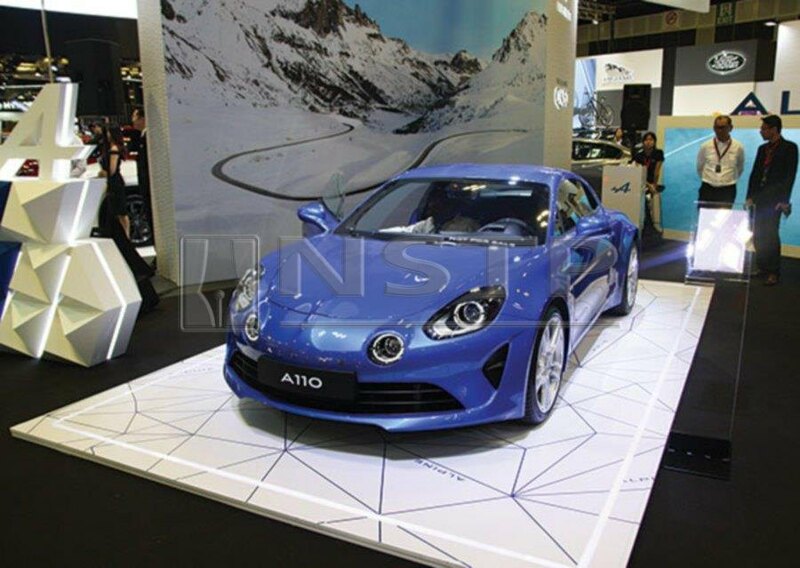 Alpine, which has a long heritage, was also present with the new Alpine A110, a throwback to the original produced between the 1960s and 1970s. The lightweight sports car is built with aluminium, glued and riveted together and weighs in at about a tonne. Like the original, the new car has a mid-engine, rear-wheel drive layout. Styling is heavily influenced by the original, complete with round lamps imbedded in the bumpers. A Renault 1.8 litre turbocharged engine provides motivation, enhanced to produce 249hp and 320Nm. Also on show was the Hyundai Kona. Available in two different powertrain versions, the long-range version provides a driving range of up to 482km. With a power output of 201bhp and 395Nm of torque the long range Kona accelerates from zero to 100kph in 7.6 seconds . On the other hand, the standard battery version has a driving range of 312km, with a power output of 134bhp and 395Nm of torque. On the sidelines of the show, ride-hailing services provider Grab confirmed that it bought 200 units of the Kona, which hit Singapore roads on Friday. Suzuki introduced the new S-Cross, a sport utility vehicle (SUV) with a lot of space despite its diminutive proportions. Even with five aboard, the S-Cross has an abundant 430 litres of luggage space. The S-Cross is powered by a turbocharged 1.0-litre engine mated to a six-speed automatic transmission. Citroen’s new C5 Aircross is a stylish new SUV that is 4.5m long, with a great deal of space and a dose of luxury. Inside is a 12.3-inch touchscreen, while Advanced Comfort and removable rear seats make the C5 Aircross a versatile and comfortable SUV with a great deal of flexibility.